Home » Future of Transportation » What’s in the Future for Public Transportation? We, citizens of planet earth, hope or assume that our government leaders have the future of public transportation clearly planned and ready to roll out in a timely, orderly fashion… yeah. The reality is that the future of private transportation may be more definitely predicted at this point. As public transportation ridership dwindles the only thing that seems certain is that electric buses will be available in the near future. But electric buses will still have the same issues existing buses have – questionable safety and cleanliness. In this iDriveSoCal Podcast, Professor Quan reports on a recent public transportation conference he attended. Meanwhile, he and I dance-around and dive into various forms of transportation as our future of mobility evolves. Click play below for insider info and occasionally boisterous commentary! At this point, really, it’s all talk. No one really, really knows because there are so many factors that you have to look at. On the flip side, we do see a lot of auto manufacturers spending a lot of money on autonomous vehicles. Tom Smith: Welcome to iDriveSoCal, the podcast, all about mobility from the automotive capital of the United States, Southern California. Tom Smith here with the good Professor, Mr. Clinton Quan. Say hello, Clinton. Tom Smith: Hello my friend. When you usually hear me introduce Clinton, and it’s usually a vehicle review, or it’s an auto show, or an automotive museum and we do a lot of talking about that stuff. But then, you hear at the beginning of all my podcasts, that we talk about mobility. And, in this case, actually the good Professor is doing a piece on mobility, and actually, it’s gonna be a two-part piece. The topic is Public Transportation and this is gonna be a two-part piece on public transportation because the way we’re getting around is changing. Now, iDriveSoCal podcast number 100 I did a little piece, it was a little solo piece and I did the Future of Mobility, What’s Hype and What’s Real? There’s so much going on and it captures the imagination, right? I mean, from underground highways to hyperloops to flying cars to driverless cars, so the Professor went to… What event did you go to? 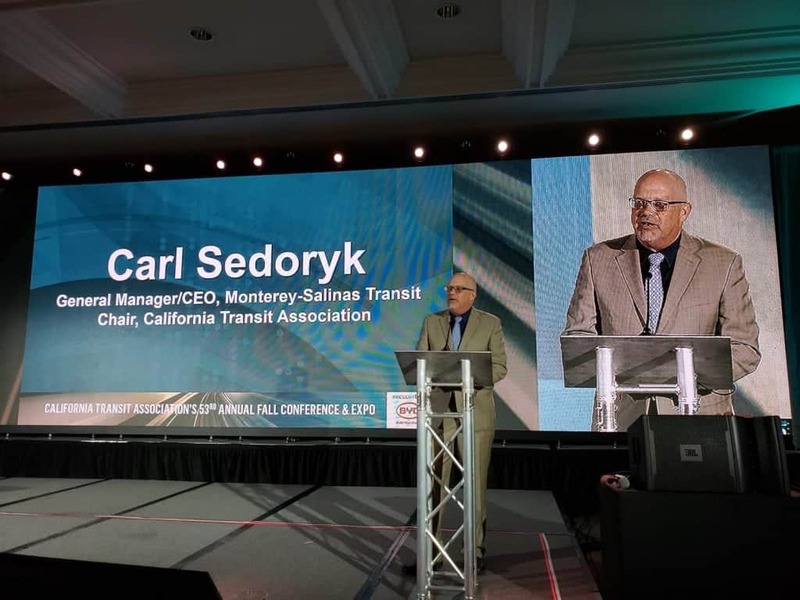 Clinton Quan: This was the California Transit Association’s 53rd Annual Fall Conference and Expo at the Long Beach Convention & Entertainment Center. Tom Smith: The California Transit Association, so that’s all about public transportation in the State of California? Right? Clinton Quan: Pretty much, yeah. And they advocate transit-friendly policies, protecting and increasing funding for transit. Tom Smith: Okay. And this is the group is statewide, so who’s going to this? City leaders from all the cities across California, as well as counties, I’m assuming? Clinton Quan: Leaders from cities throughout the State of California and other government entities as well, including counties. Tom Smith: And this is where they go and are decisions being made here? Or is it more like a trade show kind of thing where they’re seeing what the options are for them to invest public funds in, or what is this all about? Clinton Quan: Well, this is an opportunity for leaders to share ideas and to see what new technologies are out there, some of the new buses that are available, new technologies. I think they said there was about 800 people in attendance for the show. It’s probably their one big show of the year, their one big event of the year. Tom Smith: Okay. There’s a couple of days and we’re gonna break this into two different podcasts, and this one is about day one. We’ll get to day two in the next podcast. Tom Smith: But what happened in day one? What did you learn? Tom Smith: Wait a minute. The former Governor of Michigan is doing a keynote for the California Transit Association Fall Conference & Expo? Clinton Quan: Yeah, for those of you that don’t know, she’s frequently on, I believe, both CNN and MSNBC. Tom Smith: For those of us that don’t know, I would be one of those of us. Tom Smith: Okay, and her name again? Clinton Quan: And she talked about autonomous vehicles and what the future would hold for a world where we wouldn’t have to drive a vehicle. 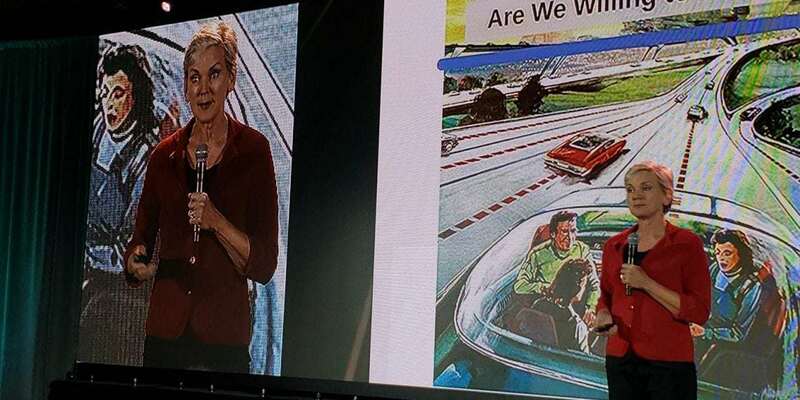 A lot of people think that with advanced technologies maybe we’re gonna lose a lot of jobs, and she talked about well, there could be opportunities for that as well, including maybe pop-up shops where you have vehicles that drive up to other business. Or, say, to urban areas such as downtown and they could be selling a number of different products. Tom Smith: How long has it been since she was actually Governor of Michigan? Clinton Quan: I believe it was… I think she was Governor for about eight years, but I’m trying to remember how long it’s been. It’s probably been, I think, six or seven years. Tom Smith: Okay. Was her keynote pie in the sky stuff or is this stuff that we’re gonna start seeing deployed in the next 36 months, 60 months? Clinton Quan: I don’t think it’s gonna be in the next few years, but I would think at least five years. But this is stuff that I’ve heard and seen at a number of other transportation conferences as well. Yeah, she talked about, for example, may we wouldn’t need a garage if everyone’s using autonomous vehicles. Tom Smith: Okay, do you buy that? Tom Smith: As much as you like to drive, I think you would pay a premium to have a car in a garage, a place to put your car. And I think a lot of other people, ’cause… Here’s what I’m getting at. A lot of these things… I mean, I go back to that podcast, not to promote it, but what is real and what’s hype? Clinton Quan: That’s true, yes. Clinton Quan: Yeah, Mike Bonin. Tom Smith: And maybe it was good execution, with the exception of informing the public that it was gonna happen ’cause they changed it back, I think, I’m not sure. Tom Smith: They changed it, they changed it back. Clinton Quan: Correct yes, they did do that. Tom Smith: …and then they brought it back. Tom Smith: I’m digressing a little bit, but that’s something that we need to get into too, but that is … What is really real and what is really hype? Clinton Quan: I think that is a great question. Tom Smith: Did they address this at this thing? Clinton Quan: Well, the thing is, no one really, really knows. At this point, really, it’s all talk. No one really, really knows because there’s so many factors that you have to look at. 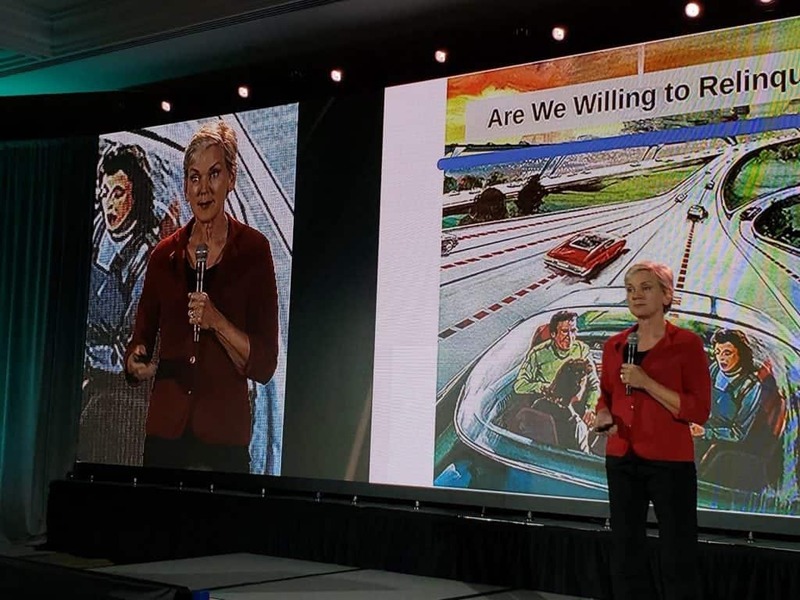 For example, a lot of the cities and counties, without the proper maintenance in the roads, the proper striping, the autonomous vehicle will not work. Tom Smith: …we’re gonna … Really? Tom Smith: We’re gonna be autonomously driven around by cars that are communicating with the road? We can’t keep our roads in good enough shape to not ruin people’s cars that are being driven by humans. Clinton Quan: I believe somebody had a dashcam. Clinton Quan: Yes, so that is true. But, on the flip side, we do see a lot of auto manufacturers spending a lot of money on autonomous vehicles. 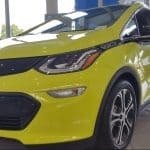 Tom Smith: Oh no doubt, and we’re gonna learn more about that next week when we go to AutoMobility LA, which is the press event before the LA Auto Show. Clinton Quan: There’s gonna be a lot of talk about that as well, about autonomous vehicles. We have these driverless vehicles and we’ll have ridesharing companies such as Uber and Lyft that will take everyone from one place to another. But yeah, I think it’s a great question. I mean, is it gonna be 10 years? Is it gonna be 30 years? Is it gonna be 100 years? Who knows how long it’s actually gonna be? Tom Smith: We’re off topic, and that’s my fault, as always. This event was about public transportation. Clinton Quan: Yes, it’s more about transit, yes. 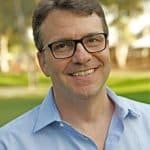 Tom Smith: Let’s get back on topic because, I guess, we can talk about autonomous… But was there any discussion of autonomous at this conference, at day one? Clinton Quan: Well, they have all these different sessions and that’s not something that I attended. Tom Smith: Okay… Sorry. Day one. Clinton Quan: Well, okay that’s the keynote session, and then for the structure of this program they have sessions in the morning as well, so that’s the session one, and then they also have a session in the afternoon. 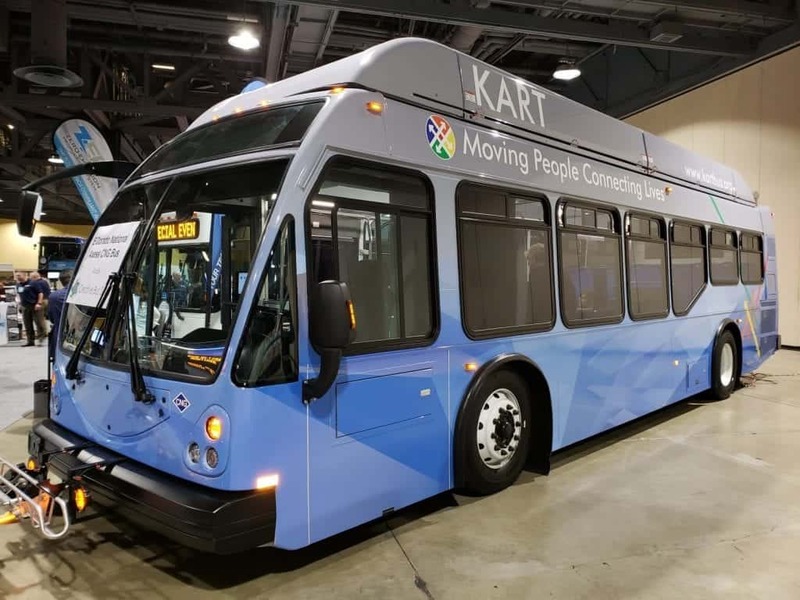 There’s a couple of tours that take place in the afternoon, a water transit tour, also a tour of electric buses so you can ride on one of these Long Beach electric buses, and then there’s an Expo later in the evening. Go ahead. Tom Smith: Yeah, sorry. I gotta… The Professor sees me with a big question mark expression on my face. This was public transportation conference and it was water transit as well as ground transit? Clinton Quan: That was just something that they had as a tour. Tom Smith: It was just a fun thing for you to do as an attendee? Tom Smith: We want something we can share with the iDriveSoCal audience, not necessarily the fun stuff that you got to do as an iDriveSoCal reporter. Clinton Quan: I want to give people a feel of what the conference was like. Clinton Quan: The session I attended was Marketing Strategies for Building Ridership. That was the first session I attended and one of the things they talked about was really… one of the speakers was building a campaign, something that’s very memorable. One of the speakers, she talked about the slogan was, Set Yourself Free, set yourself free from having to own a car, set yourself free from having to deal with the high cost of parking. Tom Smith: Is this what we, as Southern California drivers, are going to be solicited messaging of local public transportation soon? That we’re gonna be seeing these kinds of ads to tell us to get out of our cars and get into buses and trains and anything else? Clinton Quan: This is one campaign slogan that’s being used by one particular transit agency, but transit agencies not only in California, but I believe throughout the country, are having a hard time getting more people to ride transit. There’s been a steady decline in transit ridership. Clinton Quan: Yes. Yeah, if you’ve read any of the articles in LA Times or on any other newspaper or publication, that’s been a problem that we’ve been dealing with throughout California and nationwide. That’s why it’s so important that transit agencies are looking for new and innovative ways to market, and to get people to ride transit. There are lots of reasons you don’t want to ride public transportation, but I think one of them is just being amongst other people and other people’s stuff. What I mean by that is, the off-topic part is the idea of just renting a car on demand, right? I don’t own a car. The idea of not owning a car and either exclusively doing Uber, or exclusively doing Lyft, or using the Uber app to walk up to a car and just rent it at will and just live that lifestyle. I don’t think that’s ever gonna happen for lots of people, including families, and including me, including my wife. The reason being, you think about all the stuff that you have in your car right now. Can you fathom not having your car? Not having all your stuff in your car? And just living a life of walking up to a car and waving an app over whatever Q code or whatever, and hopping in and going? I don’t see that happening, and I think that’s one of the things with public transportation that some of these on-demand companies can learn from public transportation, people don’t want to do that. Clinton Quan: Yes, that’s true, especially when you have a family and you’ve got kids, and you’ve got the car seat, and you have all these other things with you. It just makes it almost impossible. It’s simply not convenient, even for someone who’s single. Let’s say, for example, you’re going to the gym or you’re, say, going to a car show and then later at night you’re going to a nicer event and you want to change your outfit. Where are you carry that stuff? You can’t carry that with you to the car show. Tom Smith: I don’t know. Clinton Quan: Yeah, so that’s why it makes it very, very difficult. I think maybe it’s great for people who live in urban areas and they’re going on very, very short rides. And, you’re going from one part of downtown, or you’re going to the Music Center for a show and that’s it. But if you’re out for the day and you’re living in the suburbs, that’s a whole different lifestyle. Tom Smith: I apologize to take it off-topic. What else about this day? Let me ask you this ’cause this is burning. I was driving and we’re recording this podcast in an undisclosed location, downtown Los Angeles. I drove past I want to say it was Little Tokyo or right around there, here was a row of the bikes that you could rent that I think the City has under contract. I forget what they’re called, the Metro Bikes or whatever blah, blah, blah, it’s not the shared or sharing bikes. Clinton Quan: …Share Program. Correct. Tom Smith: Almost every one of the spots was filled with a bike, meaning nobody’s renting the darn things. That’s part of public transit, right? Clinton Quan: It’s definitely part of public transit and there’s another big push to get more people to ride bikes. Clinton Quan: There was, I think, a $1.2 million program and they found out that there’s just so few people who use it so there was no point in continuing on with that after a one-year test pilot program. And even in a small city such as Pasadena, where you have all these neighborhoods which are easily connected and you can ride from one to another on a bike, from Old Pasadena to the Playhouse District, to South Lake, that didn’t work. Tom Smith: Part of the reason I love my cell phone is that it’s mine and I don’t ever have to touch a public payphone ever again. Clinton Quan: Yes, and that’s the same with so many other things, right? Clinton Quan: And we have to be honest about this. If we’re not honest about this, we’re not gonna get more people to ride transit. There’s two things that we really need to talk about that no one really wants to talk about. One is safety and the other is cleanliness. Clinton Quan: It’s definitely around $100 a day. Tom Smith: We bought the season pass and they really get you for the season pass, but I mean it’s Disney so they’re keeping it as clean as possible. They want to create that environment and it’s good. Clinton Quan: It’s interesting you brought that up because I also attended the California Transit Association’s Fall Conference last year, which took place in Riverside. One of the… I’m trying to remember if it was the keynote speaker if not the keynote speaker definitely one of the main speakers for the main event worked at Disney. Tom Smith: Because we sell $57 hot dogs. Clinton Quan: No… well, he said, “Because we actually keep the park safe and clean.” That’s the same thing that can be applied to transit, right? If we want to get more people to ride transit, we gotta keep it safe and clean. Tom Smith: …and there was urine, it was a puddle of urine. Clinton Quan: That was in the LA Times, I read that. Tom Smith: Oh, was it in the LA Times? Clinton Quan: It was in the Los Angeles Times, yeah. Clinton Quan: That’s where I read it. It was in the Los Angeles Times. Tom Smith: Okay, were you telling me that? Clinton Quan: I told you about that. Tom Smith: Okay, but you hit the nail on the head. Those are the two things that we don’t want to talk about. Were those things talked about? Were those issues addressed? Clinton Quan: Yes. They have an Expo there and one of the vendors had these new type of seats which are much easier to keep clean. It’s not cloth seats. I think it’s made of some sort of plastic so it can easily be wiped down. Now, the question is, how often does it get cleaned? ‘Cause there’s people going in and out constantly, right? Unless someone’s cleaning it constantly, that’s the other issue. And the same thing we’re gonna have with autonomous vehicles. If you’ve got these cars that are running 24/7 and every 10 minutes you get new people coming in there and you don’t have restrictions on who can bring food and drink in the vehicle, that could get very dirty too right? Tom Smith: You know, look. That’s autonomous… And so Uber and Lyft are working on autonomous stuff. I don’t know if Lyft is, but I know Uber is for sure. 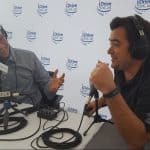 And I recently did a podcast with Harry Campbell, The Rideshare Guy, and he has this big following of Uber and Lyft drivers, people that drive for the food delivery services like Postmates. And, he said the way that he got into that was by doing some driving on his own and then blogging about it, or talking about it in Facebook groups. One of the most elementary things is what to do when the drunk person, the drunk passenger vomits in your car. It’s like, okay, well now how… If you take the driver out of the equation, then a computer knows that a drunk person got in the back of the car and that the car needs to go into the shop for cleaning? I don’t know. Tom Smith: I mean, there’s a lot of things like that that need to be figured out, and obviously they’re working on them, but I think we’re sliding all over the topic. This wasn’t the plan for this podcast. What else did you have in mind for this one, and do we even need to do a second one at this point in time? I mean, did we cover everything on this whole event? Clinton Quan: I think the other thing that was really talked about during the conference was that we need to be able to make it easier for transit users to connect to other modes of transportation. Tom Smith: And the scooters. Tom Smith: But yeah, okay. This is where I think we’re overthinking it, all right? Tom Smith: The final mile. What are we gonna do about the final mile? Oh my God, scooters! Scooters are the final mile. What about walking? Tom Smith: I mean come on, just walk. Clinton Quan: Yes, just walk. Tom Smith: We don’t need technology for that. We had it for a long time. It’s called shoes. Clinton Quan: Yes, we’ve had this for all this time, that is so true. Tom Smith: They’re fun. It’s a fun novelty. Look, if you’re a tourist coming to LA and you’ve just heard about the Marina del Rey area, or the quote-unquote, Venice/Silicon Beach and you go there and have a drink down by the ocean and enjoy the sunset and whatever, hop on a scooter. Bird & Lime = Groupon & LivingSocial? Okay. But I’m thinking out loud right now. I was at an event a couple of months back at UCLA and there was scooters all over there, both Bird and the Lime bike scooters. Tom Smith: Okay, so for tourists and for college kids. Tom Smith: For the college kids it’s replacing the Honda Spree that people were riding when I was in college. Clinton Quan: I don’t really see it here in downtown, quite honestly. Clinton Quan: Not the way that people are talking about it. Tom Smith: But these companies are growing like crazy. Is it real growth? Tom Smith: Is it real growth or is it VC hype that’s going to collapse like Groupon stock? Or is it Groupon or LivingSocial, or both of them? Tom Smith: A lot of them. Clinton Quan: …it’s the same thing that we talked about bikes, right? The cleanliness of the … applies to the scooters, ’cause they’re literally on the street. Tom Smith: And they’re orphaned. The whole concept of whatever they call, the nesters, right? Tom Smith: The people that go and pick them up in the middle of the night to bring them back and charge them up or whatever, however that works. I don’t get… I get it, but I don’t get it and time will tell. Clinton Quan: Yeah, I think a lot of people, they’re trying to figure out new ways to connect people. Tom Smith: My Bird scooter’s gonna help me connect with somebody? Tom Smith: To that final mile. Tom Smith: After I wore a hole in my shoe. Clinton Quan: …but, or you get off the blue line. Tom Smith: Okay, all right. Okay. I think we tore the concept of this podcast being one of two into … that doesn’t work. We didn’t tear it, we put it together into one so it’s just one podcast, right? Clinton Quan: I guess, yes. Tom Smith: Did we or did we not? Tom Smith: Okay. Is there anything else that we need to cover the California Transit Association Fall Conference? Clinton Quan: The other thing is using apps to make it easier for people. A lot of times if you’re riding a bus, or using a rail line you may not know what the times are. Hopefully with technology and using the apps, then it makes it easier to connect to all these different modes of transportation. That and using car sharing services. Clinton Quan: There was definitely a lot of talk about that. 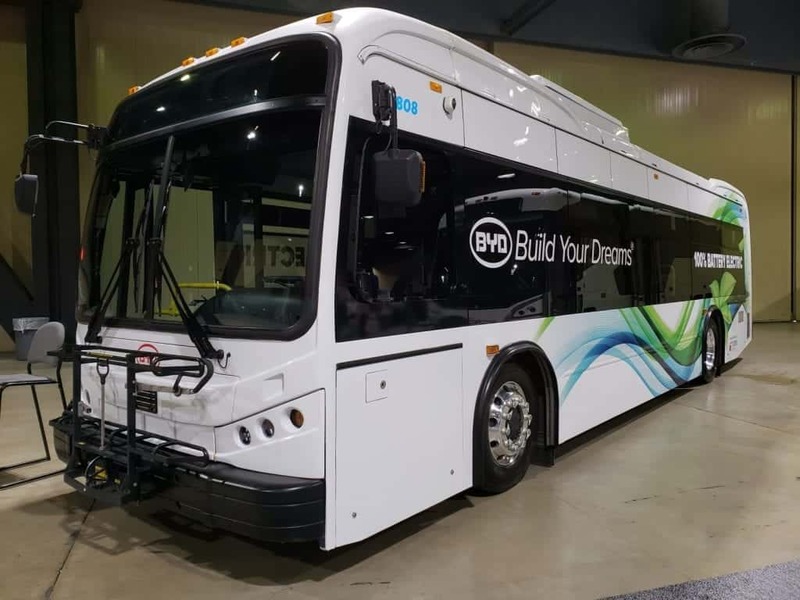 Electric Buses are Real and Coming Soon! Clinton Quan: They’re dealing with the same issues that anyone else would be using a private automobile. Tom Smith: Then the public transportation company should give me an app that shows when the bus is showing up, just like my Uber driver does? Clinton Quan: Yeah, I think that’s something that a lot of the agencies are… we don’t have it. Clinton Quan: Yeah, battery electric buses. Yes. Tom Smith: …right here in Southern California. I know we have at least one electric bus company here in LA, right? Clinton Quan: Well, Proterra. There’s a number of them. There’s BYD, there’s a number … Yeah. Off the top of my head, those are the two big companies. Tom Smith: And I know they were participants of this show. Tom Smith: Is there a rollout plan for electric buses in LA, in California anywhere? Was that talked about? Clinton Quan: Oh yeah, absolutely. I think that’s what all the cities are moving towards, electric buses, for sure. Tom Smith: How soon are we gonna see those? Clinton Quan: I think we’re gonna be seeing those very soon, in the next five years. Tom Smith: Okay. No electric buses on the ground right now? Clinton Quan: No, I believe there’s a number of agencies that have electric buses right now, yes. Tom Smith: Locally here? LA City, LA County? 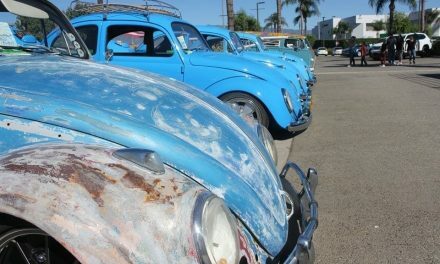 Anywhere in Southern California? Clinton Quan: Yeah, I don’t know specifically which ones but yes, we do. Clinton Quan: There are places that have electric buses, yes. Clinton Quan: We’ve got what? 88 cities in the County of Los Angeles, just alone in the county, and most people don’t realize that we have that many cities in LA County. Tom Smith: I didn’t realize that myself. 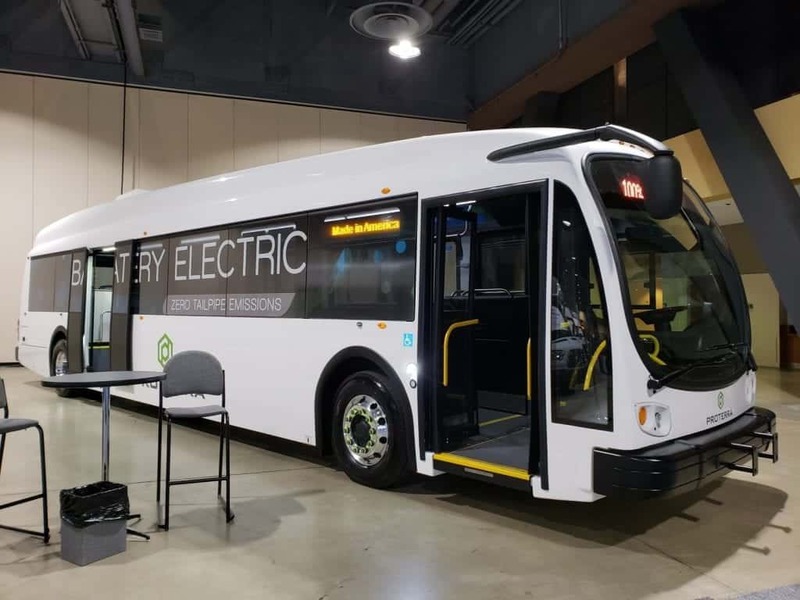 Tom Smith: All right, and we have a handful of electric bus companies that are working right out of Southern California, so they’re working to equip the Southern California companies. You know what? I emailed back and forth one of the CEOs of the electric bus companies. We need to story on them, either me or you. We need to get iDriveSoCal talking to some electric bus companies and see what’s going on from their perspective. But all right, Professor. At the top of this podcast we promised it was going to be one of two but, at the bottom of this podcast, I think we’re going to officially state that it’s not one of two, it’s one of one. Tom Smith: Does that make sense? Clinton Quan: That makes sense. Tom Smith: Okay. This is live, everybody. We’re deciding this as we speak. Professor, thank you as always. Unless there’s anything else, are you good? Tom Smith: All right, excellent. For iDriveSoCal I am Tom Smith. Thank you as always for tuning in. 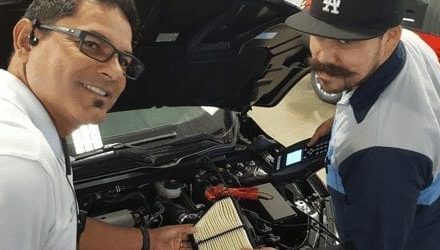 NextWhat happens during my new car’s first service visit?